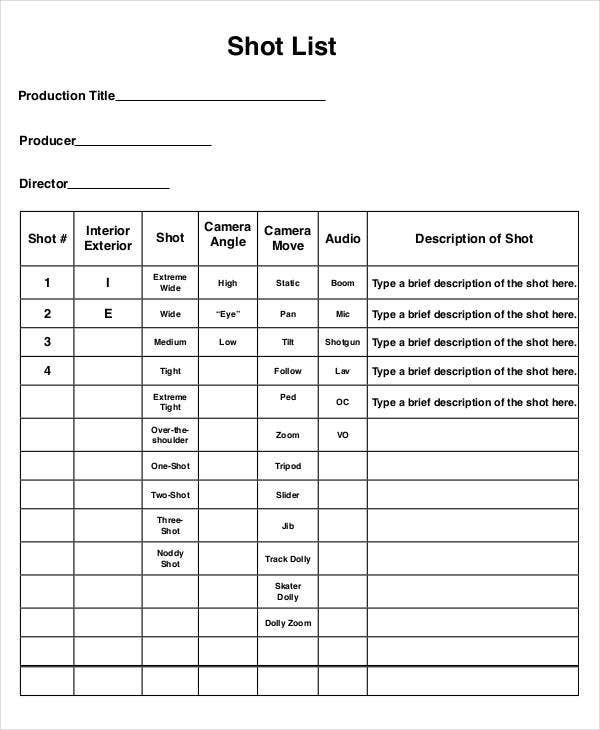 Budding directors and film students will be pleased to know that there are different shot list templates available on the Internet which helps you create a simple but detailed list of shots. 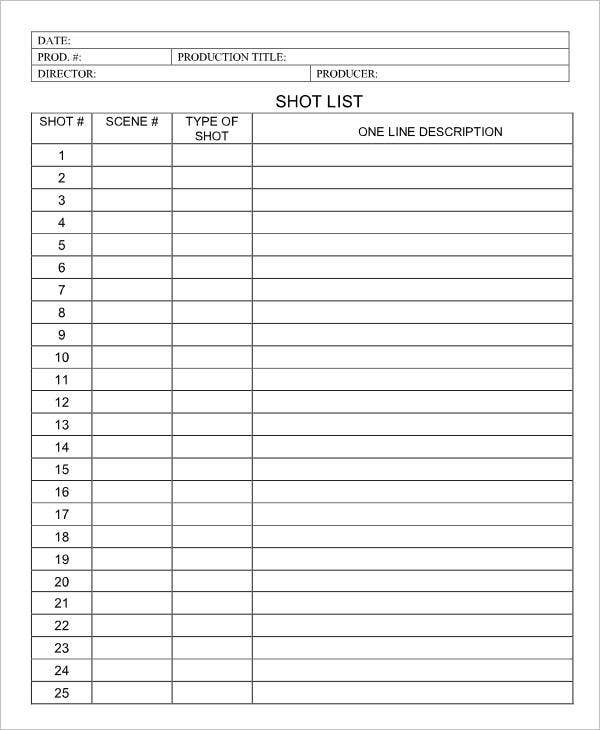 Most of the shot list template word tend to feature drop down menus for the purpose of recording the duration of each shot and the size. 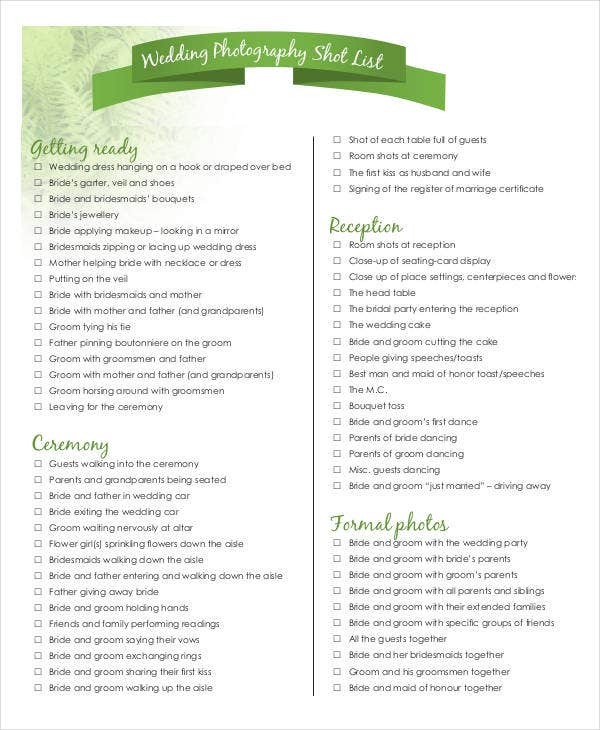 You can also see Price List Templates. It is a great way to estimate the time of your film and thus, is used extensively in the field of media education. 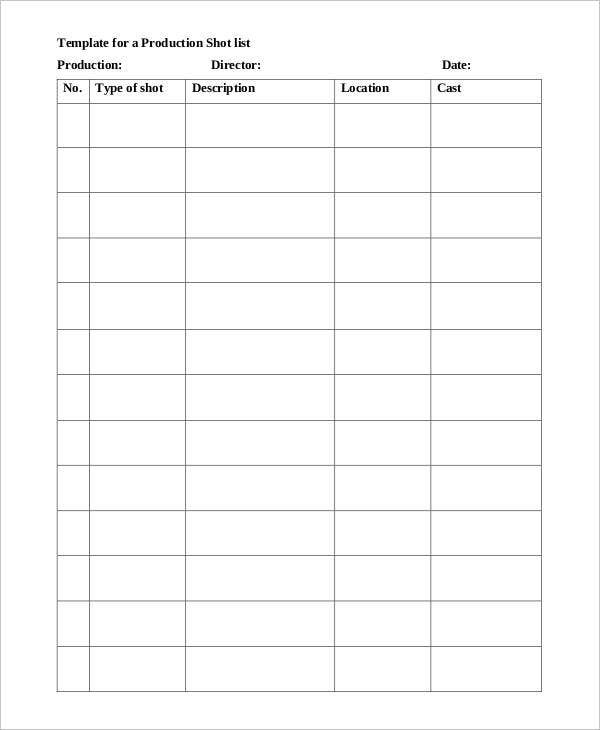 However, shot lists are not just meant for movie making and there is a separate photography film shot list template that allows you to keep track of the shots during a major photoshoot. 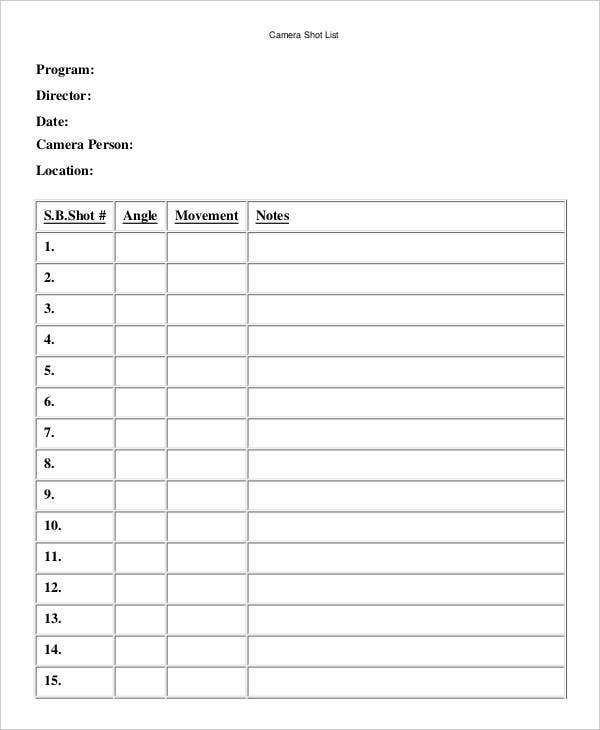 Camera Shot List Template comes with notes and tips. So, if you are new to taking shots, these tips will help you immensely. These tips act as a guide for amateur directors or media students who are just learning the ropes. 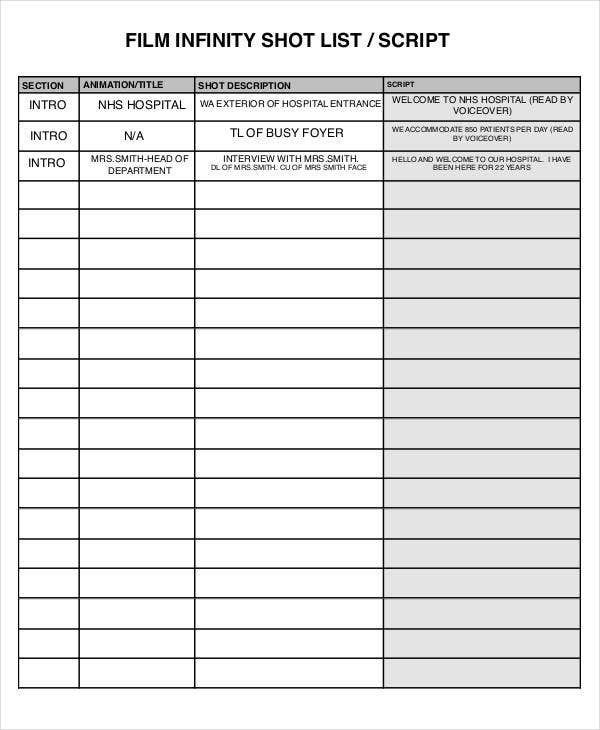 You may also see job list templates. 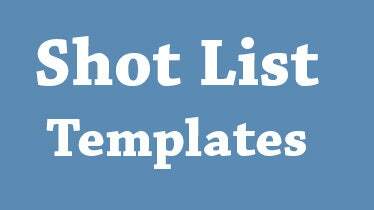 A shot list template may be simple or complex depending upon your requirements. These simple templates can easily be modified to record the data you need and therefore, they prove to be extremely useful during film making. 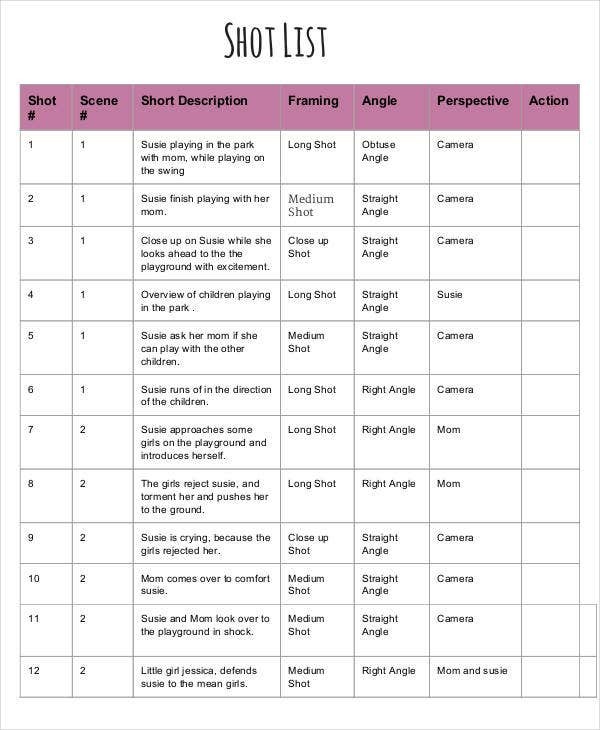 You can use the shot list template alongside the storyboard template to gain extra artistic and visual directions during the making of the film or photoshoot. You can easily break down the entire shoot into sections and can keep track of any changes in the process.